Great social upheavals are often started by a single flash-point occurrence, a certain event that acts as a lightning rod which will crystallise a storm of prior conditions into a single high-voltage spark. In 1992, the acquittal of four LAPD officers who had beaten Rodney King a year previously sparked outrage which led to rioting across black neighbourhoods of LA. In 2005 it was the deaths of two teenagers in the Parisian suburb of Clichy-sous-Bois, electrocuted whilst evading a police patrol, which sparked weeks of riots across France, making headlines across the world and alerting people to the conditions of social deprivation and poor life chances faced by the inhabitants of les banlieues. 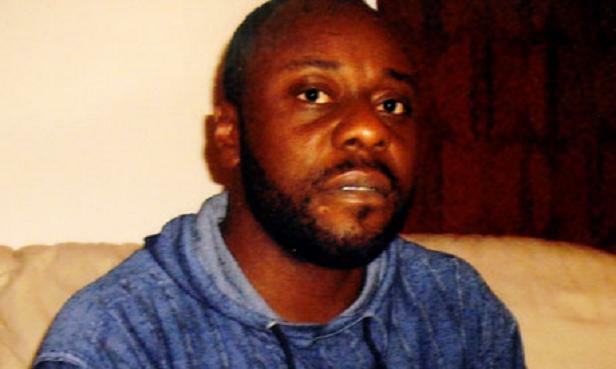 It was impossible to read the recent news of the death during deportation of Jimmy Mubenga, without thinking back on the loss of a friend of mine to the same system less than three months ago. The fatal restraint of the Angolan refugee coincides with the release of a report by the Institute of Race Relations suggesting that in the past four years, at least 77 asylum seekers and migrants have died as a result of immigration policy in the UK, with the near certainty that this is an underestimate. How many more must die before the barbarism of the system is fully exposed? How many deaths will it take before the anti-deportation movement finds its Rodney King? Of course, unlike the black population in the ghettoised areas of LA, immigrants and asylum seekers face not just harassment and oppression but expulsion from the country. It is clearly near impossible that we would see a large-scale movement of asylum seekers against state discrimination, as to do so would jeopardise their tenuous position in a society which already barely tolerates them. So it falls to us citizens who are fortunate enough to have been born with a British passport, a lifelong tenure of this great nation, so to speak, to be outraged, offended and galvanised by their struggle, and to keep pushing for the point at which we as a society we will say, ‘enough is enough’. Today this is all the more important when we’re seeing a resurgence of racism and xenophobic nationalism in Europe. Far-right groups are too often being allowed to set the political agenda, with otherwise centrist politicians crafting hard-line policies on immigration and integration as a response to ‘legitimate concerns’ from the low-wage precariat about job competition and the erosion of British (French/German/Italian/etc.) culture, notwithstanding the fact that these concerns are shaped and maintained by the politico-industrial elite to distract attention while budgets are slashed, regulation and welfare systems dismantled. As racism rises in Europe, Slavoj Zizek may be right in saying we are ‘living in the end times’, and I’d like to agree: not that the world is ending, but that in 20 or 30 years we will look back on this period as an exceptional time of economic idiocy, moral bankruptcy and social discrimination, all of which came to mark the end of an era that we subsequently transcended. According to a witness aboard the plane on which he died, Jimmy Mubenga asked his fellow passengers, “what kind of people are you that do nothing?” We can ask the same question of our society, where the prosperity of those riding in Business Class relies on keeping others struggling for life in the back. It’s in their interest to keep us heading in this direction, which is why it’s up to us to stop the flight. Doing nothing is not an option. Corin Faife is a writer and activist. His ‘Modern Times’ column appears every Tuesday. Excellent column – and “what kind of people are you that you do nothing?” is a serious question that we should all be thinking about.